WASHINGTON – Republicans celebrated Sunday after Attorney General William Barr sent a letter to key lawmakers on Capitol Hill that said Special Counsel Robert S. Mueller III did not find any evidence of collusion between members of the Trump campaign and Russian officials. After two years, two congressional investigations, and now the closure of a Special Counsel investigation, it is abundantly clear, without a shadow of a doubt, there was no collusion. This case is closed. Democrats said further investigations are needed. “Attorney General Barr’s letter raises as many questions as it answers. The fact that Special Counsel Mueller’s report does not exonerate the president on a charge as serious as obstruction of justice demonstrates how urgent it is that the full report and underlying documentation be made public without any further delay. Given Mr. Barr’s public record of bias against the Special Counsel’s inquiry, he is not a neutral observer and is not in a position to make objective determinations about the report,” Senate Minority Leader Chuck Schumer (D-N.Y.) and House Speaker Nancy Pelosi (D-Calif.) said in a joint statement. 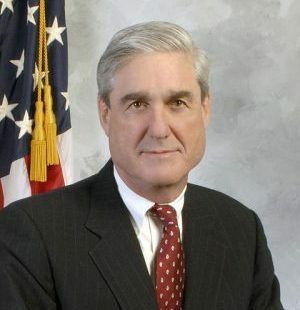 Barr Sunday afternoon sent a summary of Mueller’s report to the chair and ranking members of the House and Senate Judiciary committees. Barr said he will confer with DoJ as to what aspects of the report can be made public. Democrats have insisted that the full report be made public. Barr informed lawmakers on Friday evening that Mueller had completed his investigation. The 22-month probe culminated in 37 indictments, including 34 for individuals and 3 for companies. On Sunday evening Trump pointed to the findings of the report as vindication.